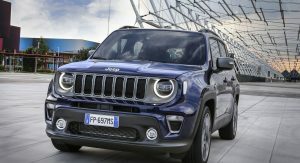 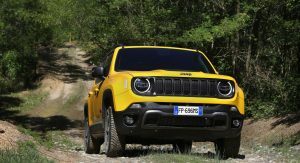 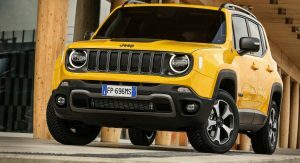 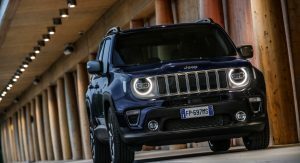 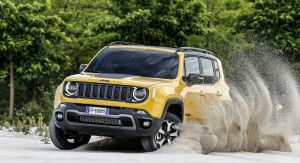 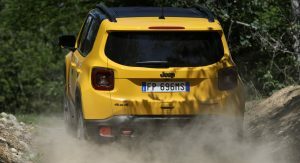 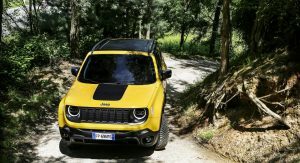 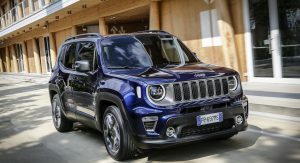 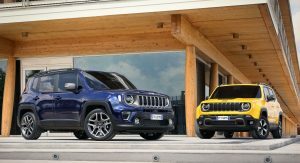 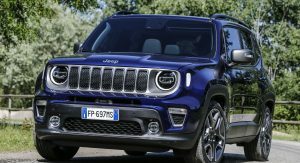 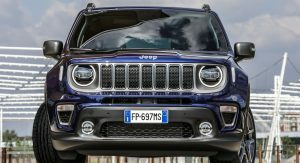 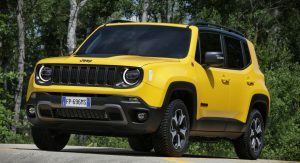 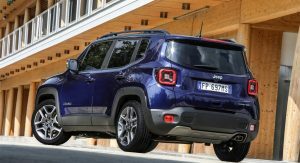 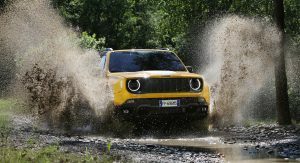 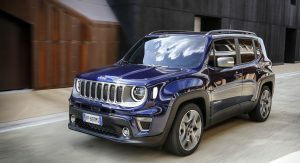 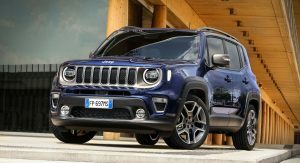 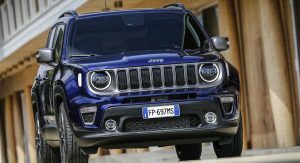 A couple of weeks after being showcased in Turin, the 2019 Jeep Renegade has been revealed in full and its specifications released. 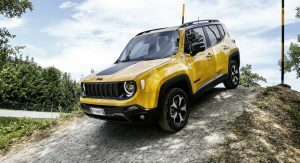 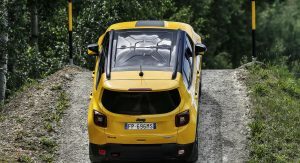 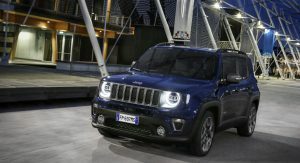 The facelifted body is easily distinguishable from the outgoing Renegade thanks to its new styling. 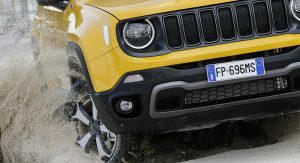 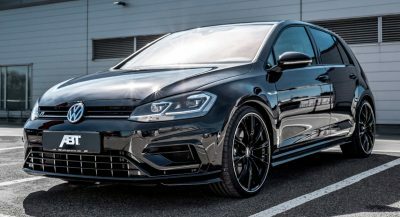 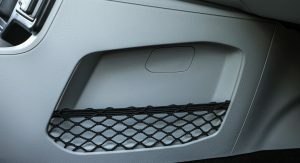 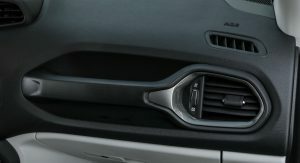 Among the most obvious changes are a new front fascia that includes revised headlights and a modified grille. 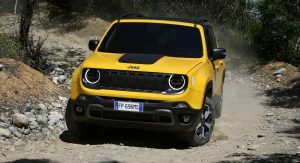 Additionally, the new Renegade comes complete with revised wheel arches, different taillights, and an altogether more up-market look. 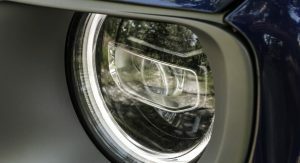 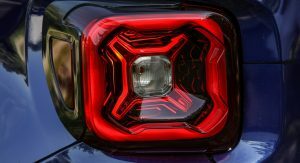 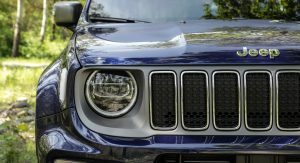 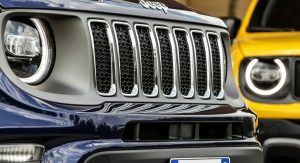 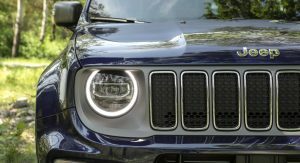 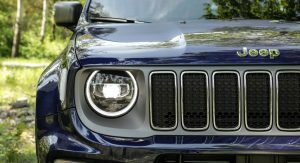 Jeep says the new headlights, fog lamps, and LED daytime running lights increase visibility by 50 per cent over traditional halogen headlights. 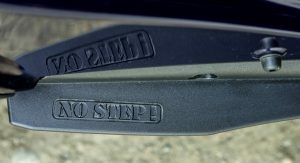 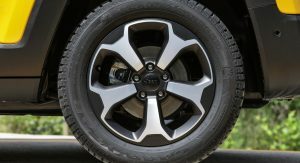 Styling changes are completed by seven different wheel options in 16-, 17-, 18-, and 19-inch sizes. 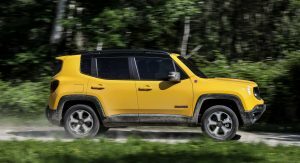 It isn’t on the styling front where the new Renegade is a key development over the outgoing model, however. 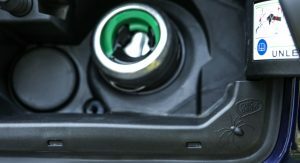 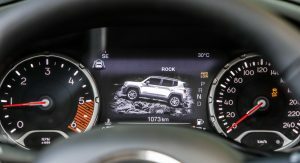 Instead, FCA has invested most of its time developing new three- and four-cylinder turbo petrol engines for the SUV, including a 1.0-liter three-cylinder with 120 hp and 190 Nm of torque and a 1.3-liter four with 150 hp or 180 hp and 270 Nm of torque. 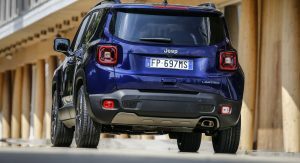 The updated engine range also includes updated 1.6-liter and 2.0-liter MultiJet II diesel engines. 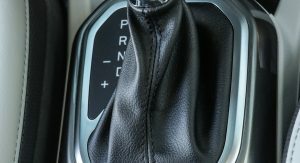 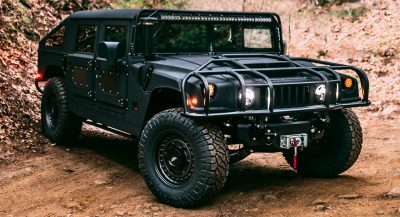 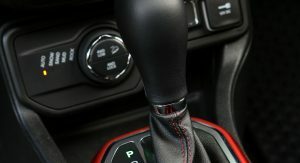 A six-speed manual, Dual Dry Clutch Transmission and nine-speed automatic transmissions are offered for all three engines. 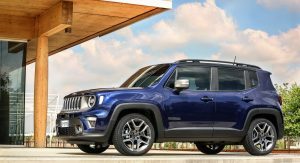 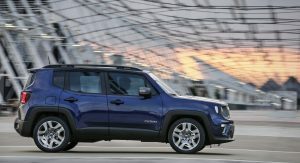 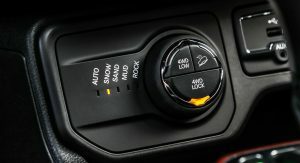 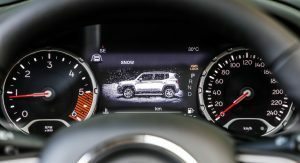 Customers will be able to opt for front-wheel and four-wheel drive systems for the 2019 Renegade that include Hill Start Assist and Hill Descent Control. 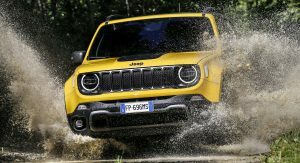 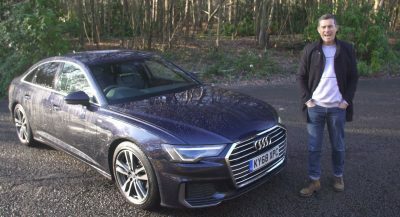 Elsewhere, four trim levels dubbed Sport, Longitude, Limited and Trailhawk will be available, the latter of which is the most off-road focused of the quartet and includes some different styling touches and maximum wheel articulation of up to 205 mm and 210 mm of ground clearance. 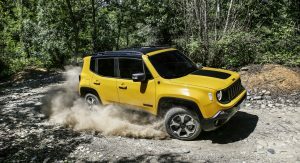 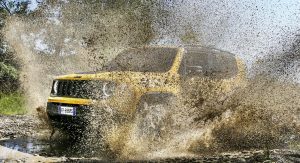 Inside, Jeep has aimed to ensure the new Renegade is that little more comfortable than the outgoing model. 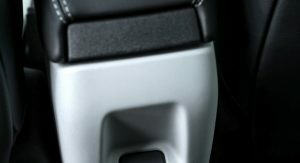 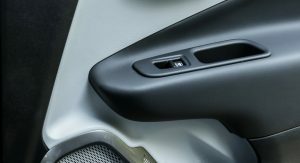 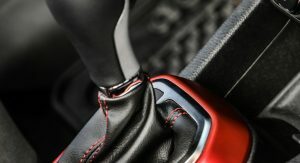 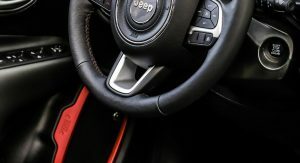 Consequently, a revised center console has been designed with a built-in smartphone holder, redesigned cup holders and additional storage compartments. 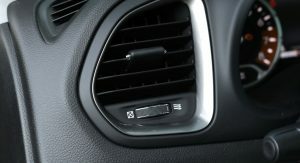 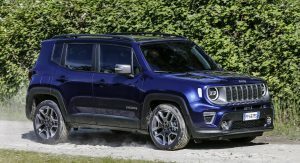 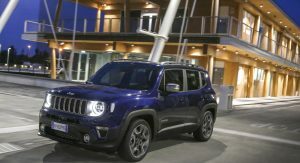 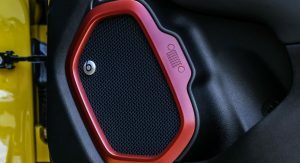 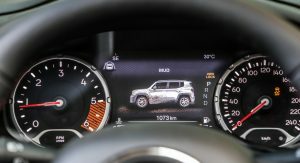 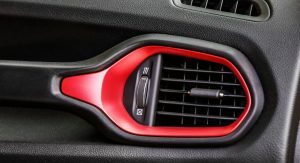 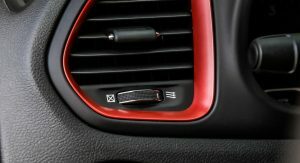 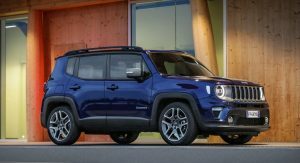 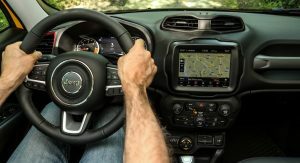 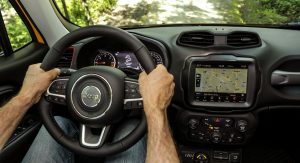 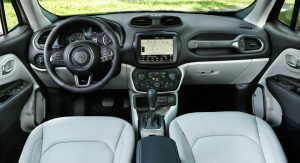 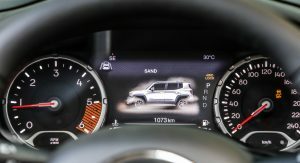 The 2019 Renegade also includes an additional USB port and FCA’s Uconnect infotainment system available in 7-inch and 8.4-inch guises and with Apple CarPlay and Android Auto. 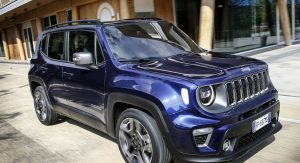 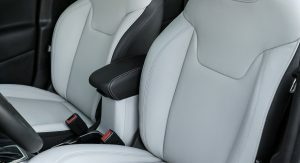 Customers can further customize their new Renegade with Trespass Black and Polar Plunge upholsteries, the latter of which has Ski Grey and Black leather with Sky Grey contrast stitching. 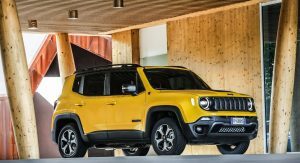 Jeep will start sales of the 2019 Renegade across Europe in September. 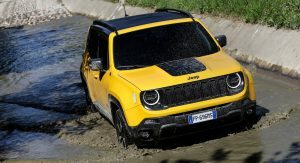 Countries outside Europe can expect to see the new Renegade in dealerships from the end of the year. 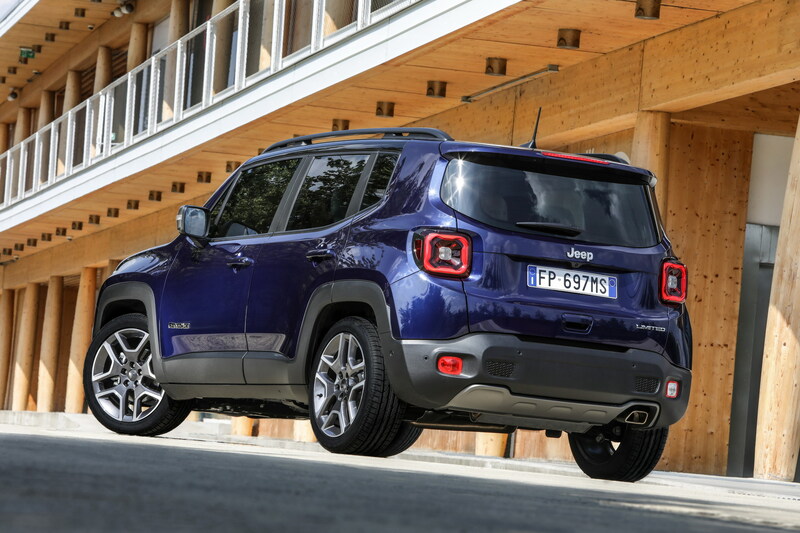 Finally FCA has a 1.0 liter 3-cylinder engine, very important for the European market, specially for Fiat cars. 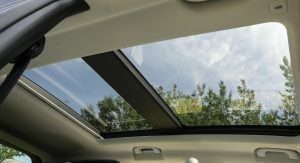 Looks like the pointless and ridiculous My Sky roof has been replaced by a conventional panoramic sunroof. 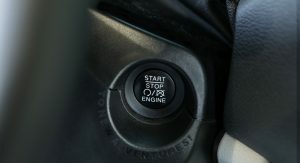 Good move. 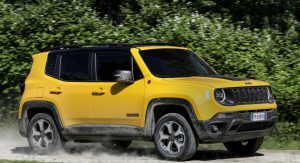 Unfortunately, the Renegade still looks too cartoony. 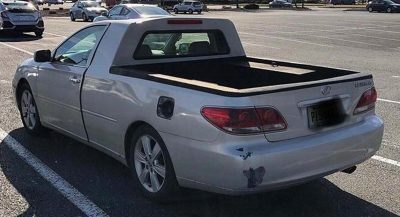 Would have made a better Dodge. 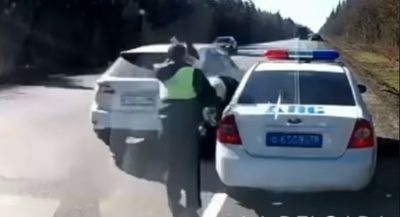 Thanks for the song but no one asked. 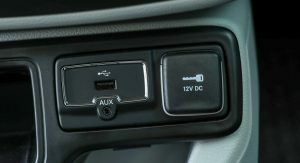 Your Welcome!Just in case if anyone curious! 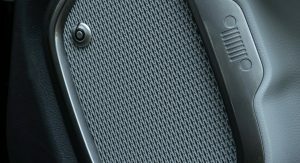 You must be the guy who is rapping on the song?